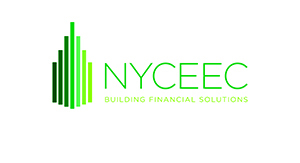 The New York City Energy Efficiency Corporation (NYCEEC) is a leading non-profit finance company that provides loans and alternative financing solutions for energy efficiency and clean energy projects. NYCEEC finances projects across all building types and neighborhoods—multifamily, commercial, retail, healthcare, hospitality, institutional and industrial. And finances clean energy technologies that save energy and eliminate greenhouse gases, including energy efficiency, Passive House, cogeneration, demand management, renewables and fuel conversions. We’re helping New York achieve a clean and sustainable future. Contact us at info@nyceec.com or 646-797-4630 to see how we can help you finance your clean energy project and get started. Learn more by visiting NYCEEC's website.